Have you ever heard or thought of enjoying the snowy or icy atmosphere in a non-icy region? We know you must be wondering about what we’re talking about. Don’t get astonished!! Everything is almost possible in the present smart world. Ahh! Let’s come to the point. Actually, we are talking about the unique and beautiful concept of Ice igloo which is gaining prominence. It is becoming one of the best attractions in Goa as reviewed by the tourists. These man-made ice parks (or ice igloo) are not identical to any boring icy region. Rather, there are a lot of hangouts and chilling activities, and conveniences to get indulged with. The internal temperature is basically kept low having an approx level of minus 5°Celsius. It is well suited for family, kids, bachelors, couples, etc. throughout the year. In addition, they have a lovely gesture of serving welcome drinks and beverages on icy glasses that make you fall in love with this place all the more. There is an arrangement of snow bars for the youngsters as well as the spirited elder ones. Kids could enjoy making snow angels, snow castles, etc and adults could enjoy playing with snowballs. You could enjoy parties, dance, enjoy DJs, and a lot. There are various sledging cars, snow volleyball and lots more. These organizations also encourage snow sports and competitions. These icy igloos stand as a perfect cup of tea along with the sprawling beaches and happening nightlife of Goa. Lastly, you could enjoy the marvelous feel of Switzerland in Goa itself. These ice igloos constitute almost all the lovely privileges that one usually craves for in a convenient manner. Nowadays, we are in the era of an advanced progressive and fast pacing world. However, this fast forward generation needs intense effort and hard work to cope up with the pressure of gaining a livelihood. You should definitely take a break from your regular boring life to cherish the mind, body and soul. And the best part is that when you talk about India, the first and foremost preferable choice that struck the mind for a lovely vacation or a casual holiday is — Goa. Goa is incredibly the best and most attractive tourist spot in India that squeezes the attention of many tourists worldwide. It is well known for its mesmerizing beaches, beautiful temples, caves, hills, waterfalls, the lavish carefree lifestyle, the friendly residents, and their hospitality and so on. In fact, there prevails an amalgamation of traditional Portuguese and Konkani/Marathi influence having a diverse natural beauty. 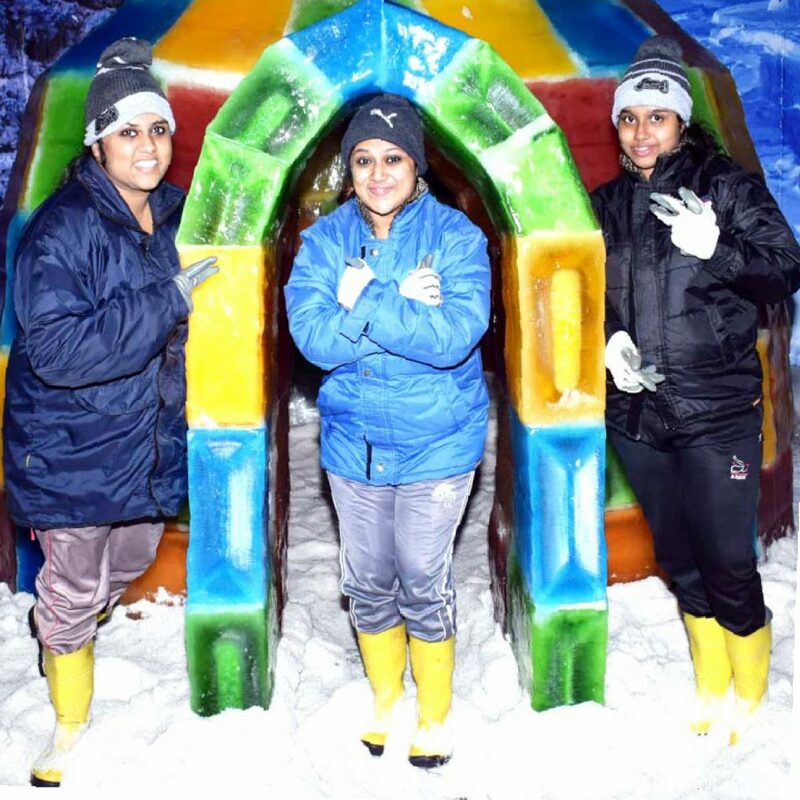 Along with that, the concept of ice igloo in Snow Park (or man-made snowy area) is paving an outstanding path-breaking approach towards the country’s tourism sector. It’s heartily suggested that you should go there to feel the cool atmosphere that soothes your soul internally. Thus, the emergence of Snow Park should be concluded as a smart and innovative attempt in the industry.